They are sturdy enough to hold adult boots, thick jackets, heavy backpacks and more. Slide in your clothing item, release and you have got a portable closet! Hang shirts, pants and more in the laundry room, office, closets, garage and practically anywhere else. You can even use multiple hooks to create a portable wardrobe with room for both clothing and footwear. Protect your clothes from damage and wrinkles no matter where you are with the most versatile travel hangers available! Available Color:White, Black, Silver Tone, Rose Gold Tone, Copper Tone. 2.Please allow 1-3cm difference due to different manual measurement. Multipurpose: elegant finish and good size fit for cookware, closets, for hanging stuff off restaurant shelves or any area you want to organize. 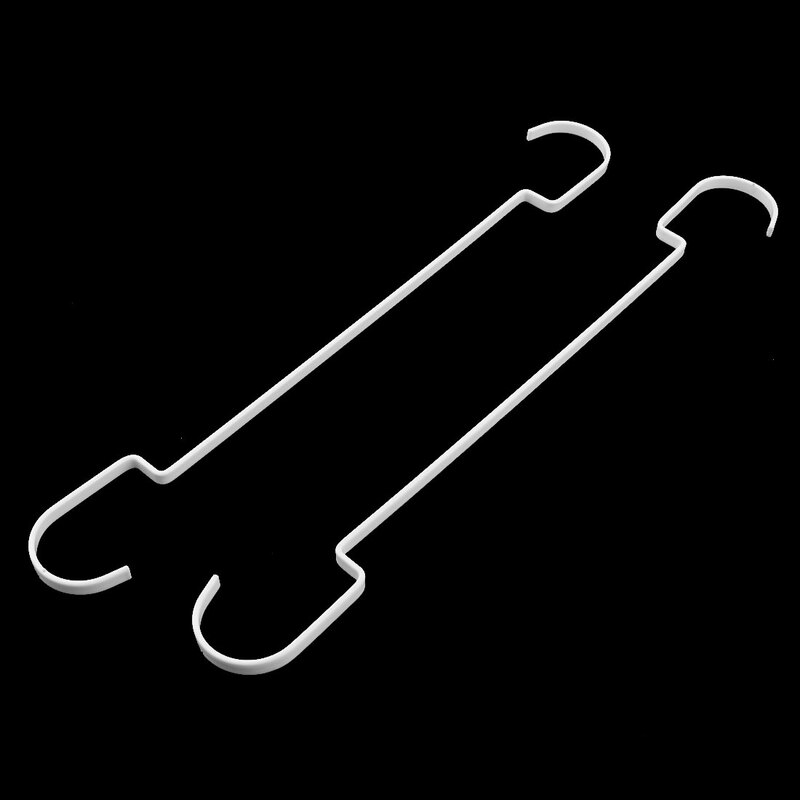 Rack hooks are made of metal, strong and can withstand weight; Curved hangers securely hook the items and do not slide off easily. Good organization supplies: hanging hooks hangers are suitable for use in closet, kitchen, storage room, garage, workshop and office. Easy to use:no need to stick or use screws.